As one of the original eight pilot countries for the UN Reform initiative Delivering as One, Tanzania is a global leader in advancing reforms of the UN system, with a view to support accelerated harmonization in implementation practices, coherence in programming, and alignment with national systems, intended to produce a reduction in transaction costs and enhanced development impact. Deepening reform require new and even more innovative ways for the UN agencies to work together in implementing UNDAP II later, formulating UNDAP III. The Programme & Strategic Support Unit (PSSU) has been created to support the strategic and programme management function for the country programme. The Unit directly supports the Programme team with the design and formulation of projects; monitoring and evaluation, gender mainstreaming, communication and resource mobilization; compliance with quality assurance standards and reporting on results. The PSSU in collaboration with Operations units ensures high quality project management in aspects of procurement for projects, field monitoring, utilization of programme resources, HACT audit and assurance, including implementation of audit recommendations. The PSSU provides support to programme and project evaluations (appraisal, mid-term and final reviews and outcome evaluations), internal and external communication, resource mobilization and results reporting. The Unit is there to ensure that CO results are monitored, tracked, reported and communicated to partners as per UNDP and CO expectations and requirements. The function includes supporting the programme team to report in the ROAR, the IWP and the IRRF for the SP. Under the overall guidance of the Country Director, and the direct supervision of the Programme Management Specialist, the M&E Analyst contributes to the effective implementation of the CPE Evaluation plan and participates in the conduct of thematic and crosscutting evaluations. The M&E Analyst ensures that objective evaluations are designed and implemented to assess the country programme relevance, effectiveness, efficiency, impact and sustainability of results; that evaluations are carried out in a credible and systematic manner; supports the application of evaluation lessons and recommendations in programme design, and contributes to the implementation of UNDAP and CPD priorities and results. 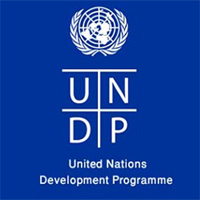 The Analyst liaises with the Evaluation Office at Headquarters/Regional Service Centre regarding evaluation approaches and methodologies, ensuring that UNDP meets the minimum requirements for monitoring and evaluation, including the conduct of mandatory project evaluations and Outcome evaluations. The M&E Analyst works in close collaboration with the Coordinator of Programme and Projects, the PSSU members, with the Programme and Operations Teams in the CO, UNDP Evaluation Office staff and Government officials to ensure that thematic, programme and project evaluations are carried out according to schedules and that findings and recommendations are implemented and followed up. The M&E Analyst also plays a critical role in supporting and coordinating the annual reporting in ROAR, the reporting for the SP through the IRRF and biannual results reporting and UNDAP review process. S/he further provides effective support to the implementation of the UNDAP and the Delivering as One (DaO) initiative through actively participating in the UN interagency PME Working Group for monitoring and reporting UNDAP results and outcomes for UNDP. Master’s Degree or equivalent in M&E, Business or Public Administration, Development Statistics, Project Management, International Relations, Economics, Political Sciences or related field. 5 years of relevant experience at the national and/or international level in international development issues particularly in monitoring and evaluation, management of development projects. Experience and ability to deal with data and analyze research findings.